North Atlanta offers so much to do and see - including sporting events of all sizes! With Father's Day coming up, I thought it would be a great time to list the amazing sports North Georgia has to offer. From minor league baseball to college football, you're sure to find something that fits with what you're looking for. With a big lineup in Atlanta you can keep the family busy all year long! 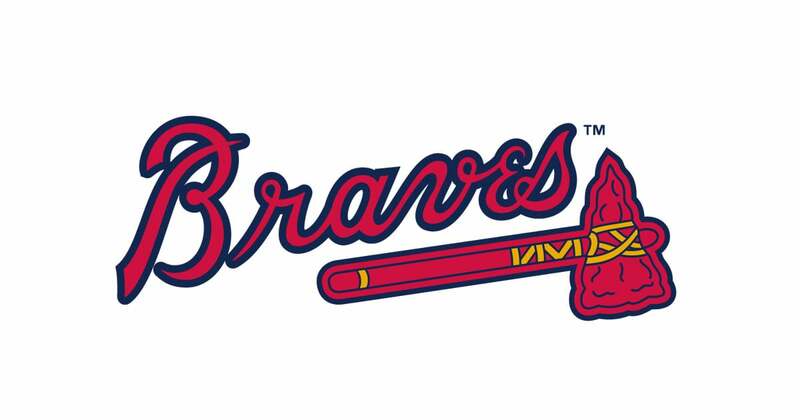 The Atlanta Braves have been a staple in Atlanta sports for over 50 years. I still here stories from my mom about how they could sit on the dugout. It can be hard to tell her those were in the old days at the beloved Ted. Turner Field might not be home to the Atlanta Braves now, but the new Suntrust Park is a showstopper. It only opened in 2017 and has more technology than most baseball stadiums! Lucky for you games are playing all summer. Click the photo to be directed to by tickets, and below is a link to the schedule! Tickets range upwards from $10! If you live in North Atlanta, you are a blessed soul. You probably live less than 2 hours away from the best university in the US. UGA has a long list of great sports. The football team took the SEC title and the Rose Bowl. Everyone is looking forward to a great season in 2018. But UGA is more than just football, UGA has amazing soccer, baseball, hockey and gymnastics that can impress anyone! They also have club sports that are just as much fun maybe more! The hockey team is a school favorite with exciting games in downtown Athens. Hockey also serves alcohol so grab the guys and take a trip! Click the picture for a full calendar of UGA sporting events! Minor League Baseball games have so much charm. The atmosphere is better if you have small kids that want to be able to run around. I remember my brother's birthday party at a game years ago. Its a lasting memory that everyone of all ages enjoyed. They even do meet and greets as well as offer a youth baseball camp in the summer! The Rome Braves have all the fun of a baseball game with a smaller crowd! Click the photo for a link to the main website to check out the schedule and tickets! Located in the heart of Atlanta, the Atlanta Hawks are an NBA team founded in 1946, one of the city's oldest sports teams. The Hawks won the 2015 division title, and just hired a new coach to rebuild the team to prior glory! The Hawk games are fun and energetic and have great pricing for tickets. It's a go to for Georgia Universites, Atlantans, and anyone else who enjoys a good time and a great atmosphere. Some games also feature music performances! Philips Arena, home of the Hawks, is currently getting a renovation as the 2018 season comes to a close. They currently do not have their 2019 schedule, but keep an eye out when the fall starts! Have no fear, because if basketball is your go to sport Atlanta's women's team, Atlanta Dream, still has games going on. The games are smaller and last all summer! Now for those sport lovers who want to go to a game at one of the lesser Georgia Universities, Georgia Tech is a quick drive away! Offering many different sports, GT offers great sports with a quick walk into Atlanta. Its definitely a different scene than Athens. While GT is in the heart of a big city, UGA offers a small town feel in a fun college town. They both offer a ton of fun whether its a guys weekend, lady's night out, or family fun time. Georgia Tech offers basketball (men and women), baseball, softball, volleyball, and football. Now everyone knows that their southerners love football. Luckily Atlanta doesn't forget their southern roots with the Atlanta Falcons of the NFL. The Mercedes-Benz Stadium was opened in 2017. In the Fall, it's the home of the Falcons, while also hosting other events. The stadium also hosted the SEC Championship, Chick-Fil A Peach Bowl, and various concerts. It will also host the Super Bowl LIII, in 2019. In an innovative design, the roof appears to be a pinwheel but is actually a retractable roof. While it was initially a sad day for those born and raised in Atlanta with the demolishing of the Georgia Dome, it is impossible not to love the upgrade. The Atlanta Falcons will kick off their pre-season on August 10th. Hockey. Canadians love it, and you should to! The Atlanta Gladiatiors (also known as the Gwinett Gladiators) are a professional minion league hockey team. The team was founded in 1995 under a different name. It wasn't until 2015, after Atlanta lost their pro-hockey team the Atlanta Thrashers that they took on the name the Atlanta Gladiators. Their season will kick off again in February, add them to your calendar for your next date night!